At the District AGM last Saturday, Bernie Reid received his 25 year of service award. 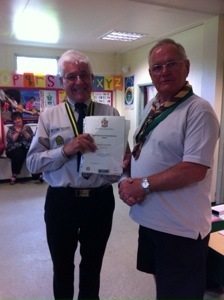 Here he is receiving his certificate and badge from the DC Richard Merefield. Well done Bernie.